This nasal pillow mask offers quieter therapy with a mask that is also lighter in weight to help you get more sleep each night. 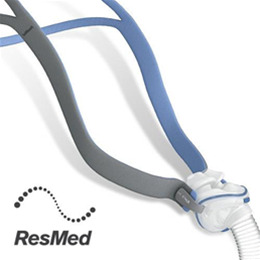 Don't worry about your PAP therapy keeping you awake with noise each night thanks to the AirFit™ P10 nasal pillow mask from ResMed. 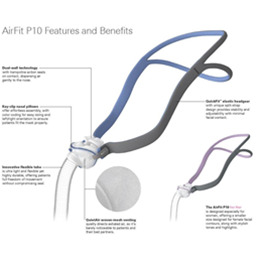 Not only does the AirFit P10 run about 50% quieter than it's predecessor, but it is also about 50% lighter to allow for enhanced comfort and stability so you don't have to make adjustments to the mask throughout the night. 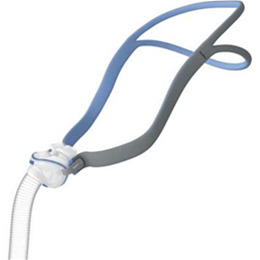 The AirFit P10 has been shown to allow users to get up to 40 more minutes of sleep each night. The mask also has a split-strap headgear design to allow for less facial contact, allowing you to feel less restricted when you sleep while you maintain a full field of vision for activities like watching television or reading before you go to sleep.